By the late-sixteenth century, Augsburg was one of the largest cities of the Holy Roman Empire, boasting an active musical life involving the contributions of musicians like Jacobus de Kerle, Hans Leo Hassler, and Gregor Aichinger. This musical culture, however, unfolded against a backdrop of looming religious schism. From the mid-sixteenth century onward, Augsburg was the largest 'biconfessional' city in the Empire, housing a Protestant majority and a Catholic minority, ruled by a city government divided between the two faiths. The period 1580-1630 saw a gradual widening of the divide between these groups. The arrival of the Jesuits in the 1580s polarized the religious atmosphere and fueled the assertion of a Catholic identity, expressed in public devotional services, spectacular processions, and pilgrimages to local shrines. The Catholic music produced for these occasions both reflected and contributed to the religious divide. 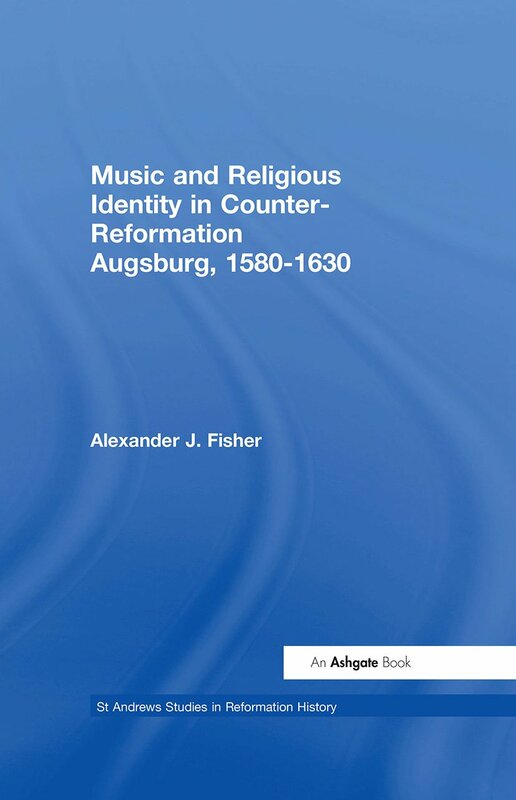 This book explores the relationship between music and religious identity in Augsburg during this period. How did 'Catholic' and 'Protestant' repertories diverge from one another? What was the impetus for this differentiation, and what effect did the circulation and performance of this music have on Augsburg's religious culture? These questions call for a new, cross-disciplinary approach to the music history of this era, one which moves beyond traditional accounts of the lives and works of composers, or histories of polyphonic genres. Using a wide variety of archival and musical documents, Alexander Fisher offers a holistic view of this musical landscape, examining aspects of composition, circulation, performance, and cultural meaning. Contents: Music and religious identity in a divided city; Protestant song and criminality; Musical life and Lutheranism at St Anna; The Counter-Reformation and the Catholic liturgy in Augsburg; Devotional music in Counter-Reformation Augsburg; So vil choros musicorum: music in Catholic processions; The Holy Mountain: music in Catholic pilgrimage; Music, confession, and the disaster of the Thirty Years' War; Appendix; Bibliography; Index. Alexander J. Fisher is Assistant Professor of Music at the University of British Columbia, Canada.